Hello and happy Monday friends! My apologies for the radio silence. Sometimes life gets in the way and it certainly has in the past few weeks. If you have been around here lately you know that Rock and I coached through the Chicago Marathon and then quickly took off for NYC. 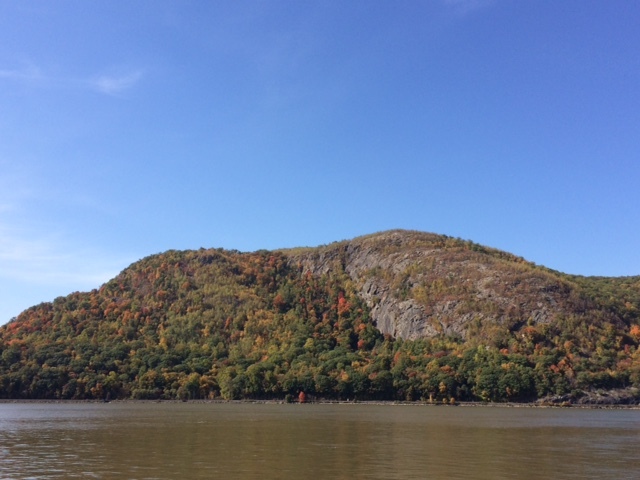 We stayed for 2 weeks, about an hour outside of the the city in a cute little motel on the Hudson River. It was the perfect place to be as the fall foliage was in its glory. Mary and I had lots of fun travels while Rock was at work. We went antiquing and shopped in some cute little towns like Cold Spring, NY. If you ever get a chance to visit, I highly recommend. It is only about an hour outside of Manhattan and Metro North drops you off right in town. 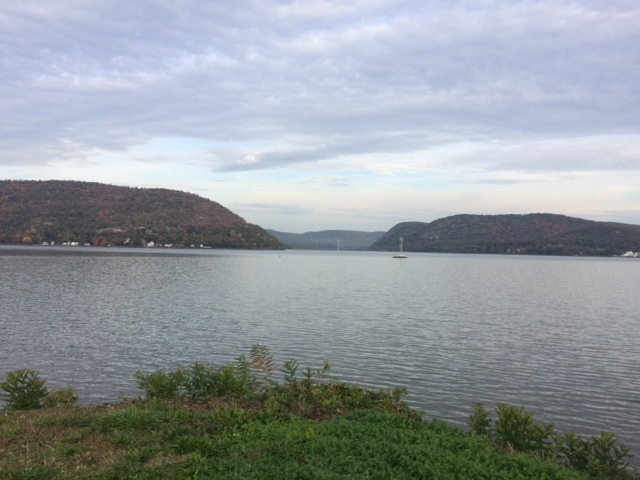 There are lots of great little shops and eateries on what looks like “Main Street USA.” It is located right on the Hudson River and you can rent bikes to head out to many beautiful hiking trails. This is the view when you get off of the train. I mean, seriously! Next up, we headed to Brooklyn. We stayed there for a week while Rock and I worked at the rink in Central Park. While we are both RRCA certified running coaches, we have both been skating and hockey coaches for almost 20 years. Gosh we are old! We met at this rink and it holds a special place in our hearts. 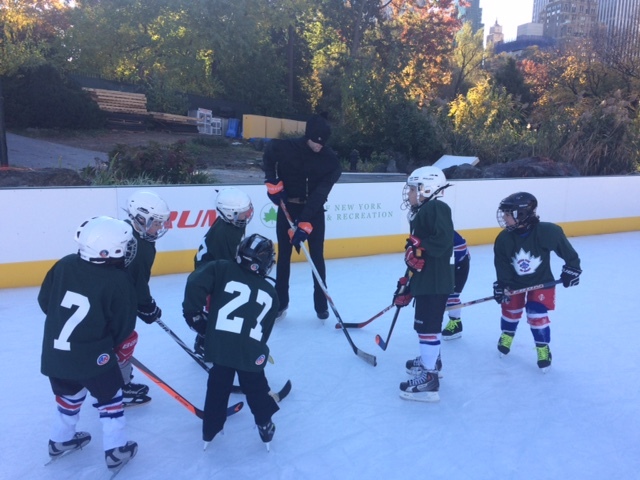 Wollman Rink has the largest skating program in the country and we are fortunate enough to come back each year to help get everything started when the weather changes to skating season. 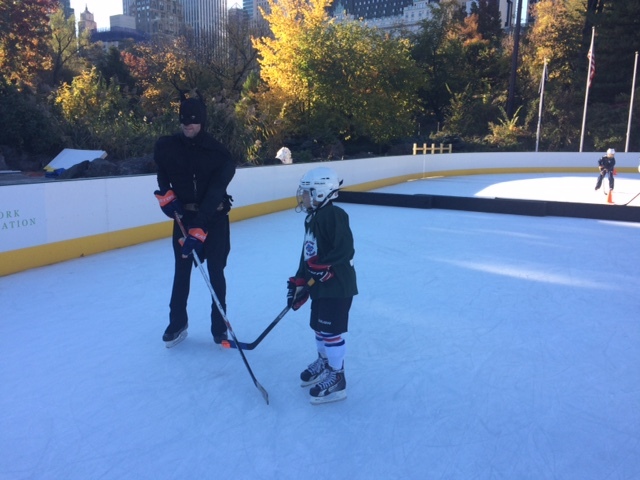 We had a great time playing on the ice and helping children get started for the winter season. There is honestly nothing better than watching a little child step on the ice for the first time and figure it out. And we also had some really awesome runs. One thing I really miss since Mary was born is that we don’t get the chance to run together any more. But on Friday we had a sitter watching our little girl and we were able to run the 7 miles from Central Park back to Brooklyn together. I highly recommend a run across the Williamsburg Bridge if you ever get to visit New York. Sunday was a combination of playing skating coach and running coach as we had athletes participating in the New York City Marathon too. Lucky for us, the last mile of the marathon goes right past the rink. It is so fun to watch the helicopters start to hover above us as the leaders come running into the park and start to hear the shouts and cheers from the spectators. New York comes alive in a way that I have never seen before when the marathon comes to town. I hope to add some posts with a few coaching tips later this week. Life definitely is more hectic these days with a little one who doesn’t really like to be put down during the day. I am trying to find balance between savoring our snuggly moments, working with my clients and still getting blog posts in. I can’t guarantee that I will be blogging with my usual consistency, but I am certainly going to try! 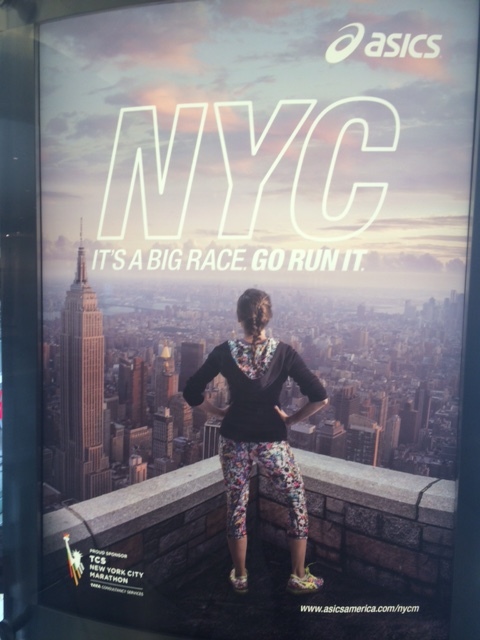 Congrats to everyone who ran this weekend and a special congrats to the New York City Marathoners! 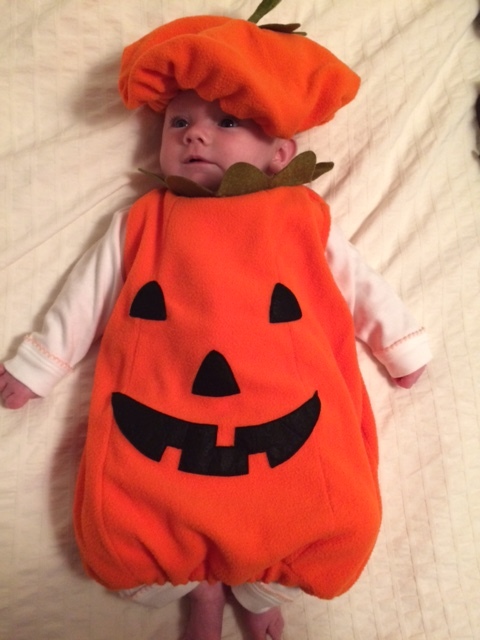 Cutest little pumpkin ever! Have you had any success baby wearing? I swear it was the only way to get things done for the first 6 months for me. I’ve been carrying Mary in the Bjorn and it is the only way to get things done. But someways my back is just dead by the end of the day. I’m glad I’m not the only one! Cute pumpkin! It can be hard getting anything done with little ones but it does get better. Haha. Thanks for the encouragement. Omg such a cute pumpkin!! How was it traveling with Mary? It was definitely different. But certainly manageable. Takes a little longer with feelings but our pediatrician recommended just doing bottles in the car seat. No big deal. Flying to Aruba in February will probably be a far different story. And your little pumpkin is adorable! Sounds like a really nice trip! She is a doll!! So cute. Sounds like you had a great time! Thank you! She definitely adores you!